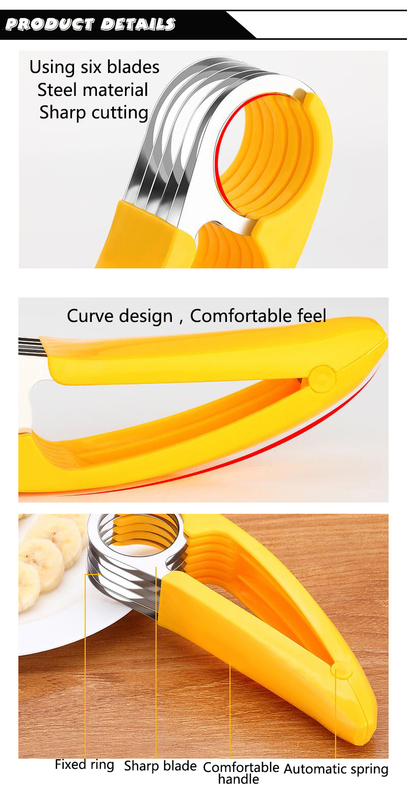 Stainless steel banana cutter for banana sundae lover. 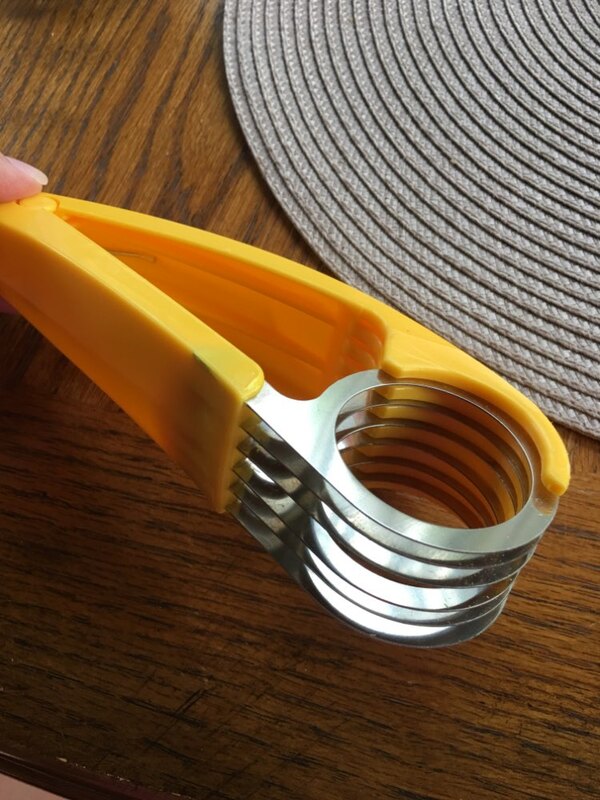 This tool will helps you cut bananas in neat pieces. It consist of 6-blades stainless steel cutting part, with comfortable plastic handle. In addition to bananas, you can also use it to cut sausages, meatballs, cucumbers, and other food ingredients with similar forms. Do you like making banana sundaes? 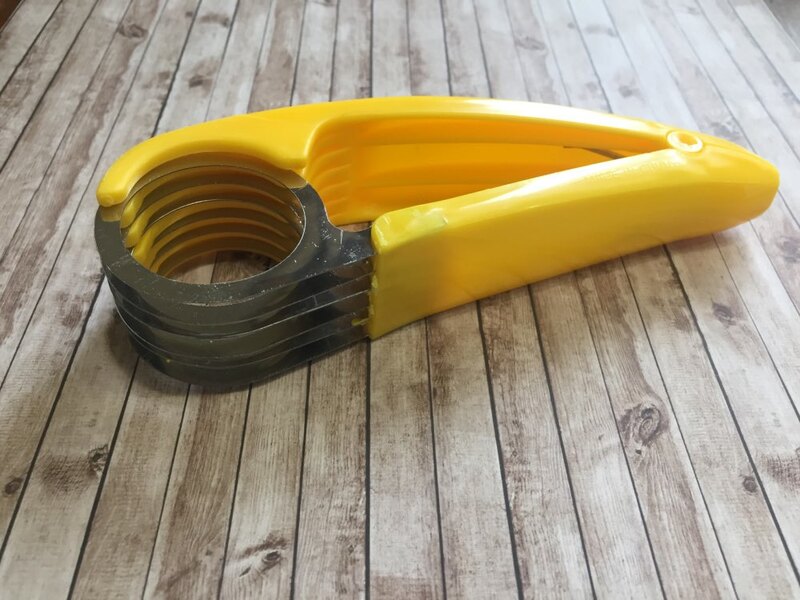 This tool helps you cut bananas in neat pieces. It consist of 6-blades stainless steel cutting part, with comfortable plastic handle. 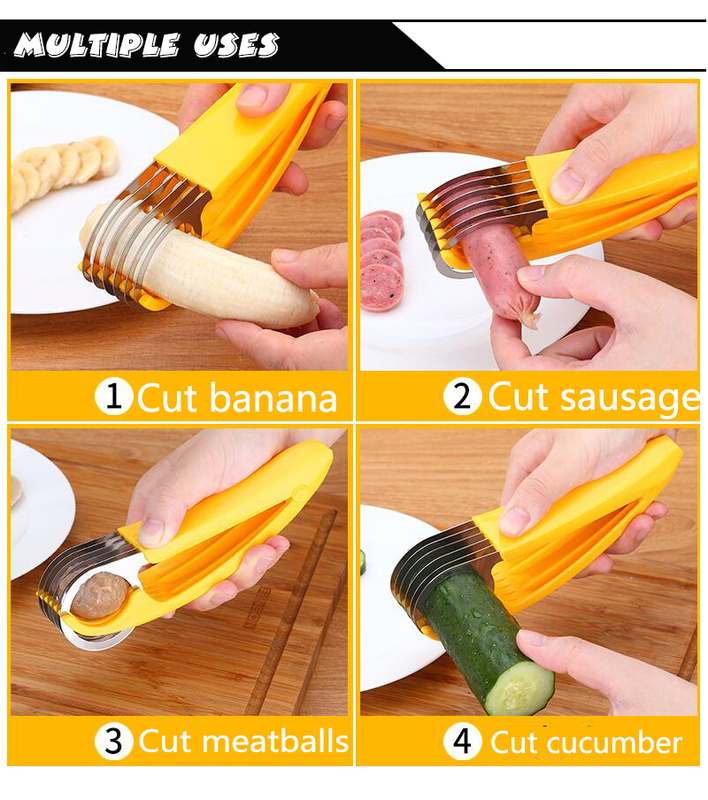 In addition to bananas, you can also use it to cut sausages, meatballs, cucumbers, and other food ingredients with similar forms. Ordered 30.01, received 6.03. Track tracked. 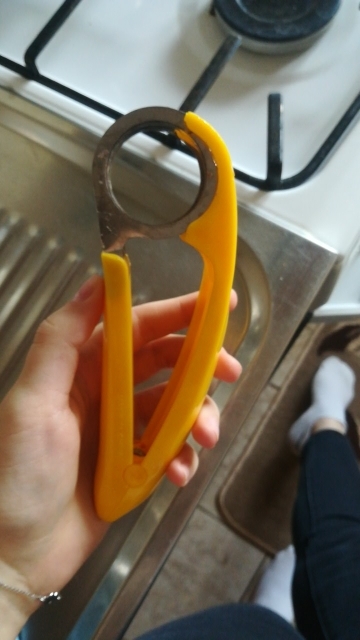 The knife is not the best quality, but for bananas it will fit perfectly. I recommend the product and the store. All OK, goods pełnowartościowy and dignified command. Excellent, quality goods. Thank you very much. Unfortunately came he buckled to. Good product .. really liked .. the quality is good .. the package arrived quickly .. I love this! Works for slicing other things as well. Very good store, Support me anytime, I am satisfied.